and blade. The direction of the compass arrow corresponds with the knife's name, thus, on this model, the needle points to "The East. " 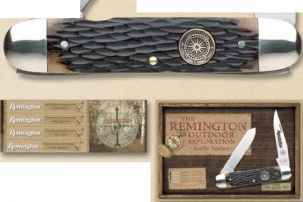 The unique display box is designed to stack in a manner that progressively builds a Remington Country image on two sides.